When people think of computer games, what they usually think of are the popular first-person shooters like Call of Duty or others of its ilk. Action games are the big sellers in the market, mostly because of their simple, straightforward controls and easy-to-understand back-stories. The Android OS may not exactly be the ideal gaming platform, but it does have its share of these games. Here’s a look at some of the best action games available for Android devices, sure to get players hearts pounding and adrenaline pulsing. 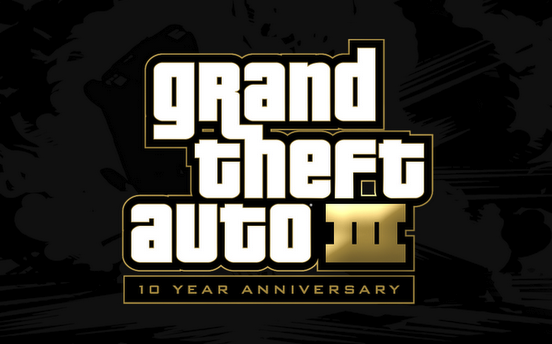 The game that brought open-world gaming into the mainstream and launched Rockstar Games into the stratosphere, Grand Theft Auto III on Android is a treat. The 10th Anniversary edition delivers all the punch of the original, while updating it all for modern sensibilities. None of that low-polygon count stuff going on here – updated graphics, both of character and vehicle models have been included. It even has HD quality resolution. Combine that with a great storyline and open-ended interaction with the denizens of Liberty City and the result is game that will tempt you to punch out people on the street and jack their cars whenever you’re late for a meeting. Zombies are the monster du jour. Name any gaming platform and it’s sure to have a zombie game or two. However, most of these are depressing survival fests that go for the horror side of the genre. Well, Age of Zombies is definitely not one of those games. Playing as Barry Steakfries, players step into a time-travelling commando’s shoes and kill zombies all across the space-time continuum in a laugh-out-loud storyline. Shooting zombies has never been so fun – shooting zombie dinosaurs being a hundred times fun than normal. Main downsides for this game are that it’s short and has trouble running on the Samsung Galaxy. Halfbrick has definitely delivered the goods with this follow-up to Monster Dash and Fruit Ninja. The first impression that Sleepy Jack delivers is that the graphics are awesome. A tube shooter, the game propels its players into a tube and gives them a demented roller-coaster ride either aiming to shoot at things or to fulfill the level’s objectives. As explorers of Jack’s psychedelic 3D dreamscape, it can be bit overwhelming at first. But the simple controls and frenetic gameplay help a lot in delivering a dreamlike experience. Forty levels and additional updates also prevent Sleepy Jack from getting really old – maintaining its replay value. Alien invaders have been a setpiece enemy of video games for years now. How about switching that formula around? In Grabatron, players are in control of an UFO as it abducts things, people, and animals all over the landscape. Armed not with death rays but a single retractable claw, this will constitute quite a challenge. The claw can be used to pick up objects and toss them around as improvised weapons – weapons that will be needed because those dastardly humans will be out there with their guns and tanks. 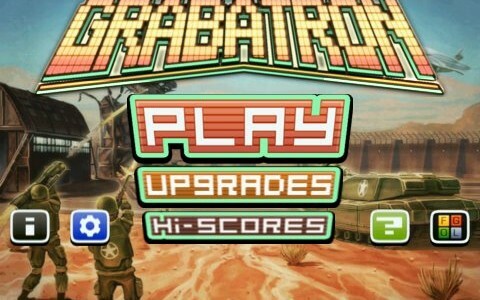 Packed with over 30 missions of alien-abducting fun, Grabatron is a definite treat for any gamer. Running games are a pretty new genre. Essentially, players control a continually running character hoping to avoid their doom. There’s no going back, just going forward. 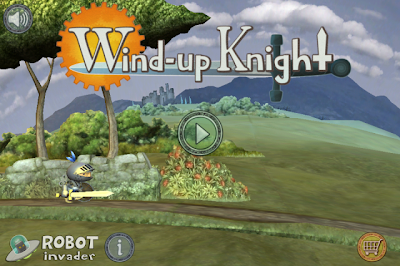 Robot Invader’s Windup Knight is currently the pinnacle of running games. Ordinarily players only have a single button to think about in running games, but with jump, slash, roll, and other moves, this game takes the running game to the next level. Add to that fifty levels of challenging gameplay and challenges, this game is definitely something to waste your time on. A very beautiful looking game, the third-person shooter Shadowgun delivers Gears of War style gameplay and graphics to the Android platform. Matching visuals usually found on consoles, this game is gorgeous. But it isn’t just another pretty face – there’s a pretty solid action game underneath all that flash. Smart enemy Al also gives players a challenge that won’t just roll over and die. This is a definite step-up from the current crop and an original franchise for the Android platform itself. Hopefully, we’ll see more games like this soon. Action games are different from others. Thanks for sharing..!! New Release !! Lets see this game "Wash My Car" for kids. Also FREE to download from Google Play..!! I'm sure that kids really love this game..! !